Our beloved lifesaving home has been hit extremely hard by the fires that have devastated our Malibu Community. Our Leo Carrillo Jr. Lifeguard trailer and storage unit with all of our paddleboards, life saving equipment, uniforms, easy ups, training equipment, plaques, office and operational equipment has all been destroyed....everything is gone. This program has reached 1,000's of kids over the years, making their emotional and physical lives better through the spread of lifesaving knowledge. As one JG reflects, “The Leo Carrillo Jr. Lifeguard Program made me who I am. Without this program I don’t know where I would be today.” The Leo Carrillo Jr. Lifeguard Program keeps our children in a safe and active environment during the summer season. 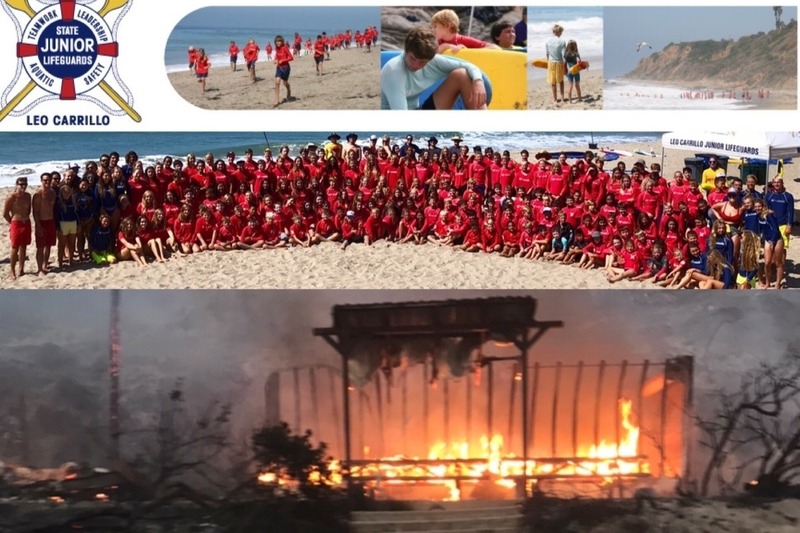 It is important now, more than ever, to give these kids the continuity of The Leo Carrillo Jr. Lifeguard Program this summer as our community grapples with the devastation around us. Please help us raise the funds to get this program back up and running so our kids have their summer “home away from home” to come back to. We thank you from the bottom of our life saving hearts. 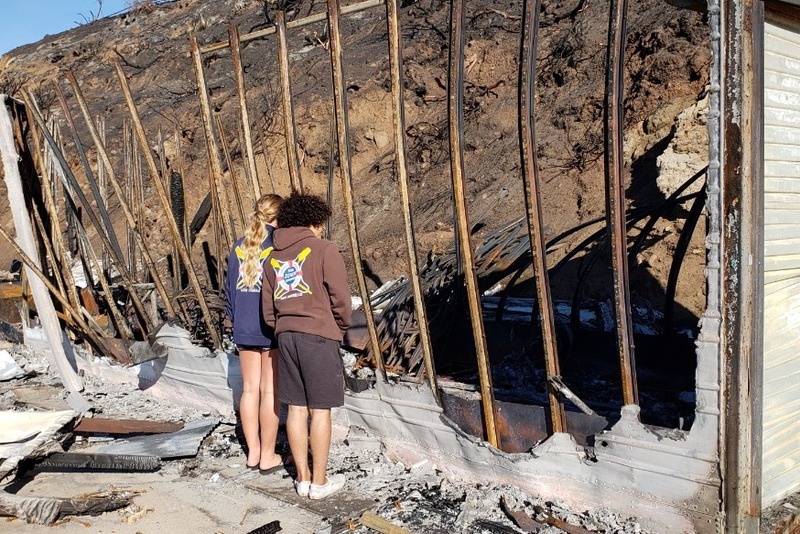 Some of the Leo Carrillo JGs saw the fire damage today.